Since 2015, students attending European universities and graduate schools are invited to compete for prizes as individuals and teams in an innovation lab sponsored by some of the world’s top brands. For the students, this Morpheus Cup and Morpheus Prize event provides an opportunity to present innovative ideas to potential industry employers and investors; for employers and investors, the event is insight into the talent and ideas developing on European campuses. 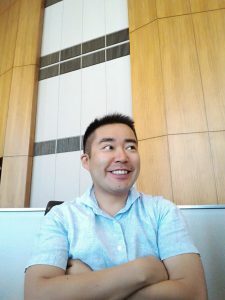 Below, ESMT MBA student Zenko Kawabata writes about competing for (and winning!) at this year’s event. I came to know about the Morpheus Cup and the Morpheus Prize from one of the ESMT MBA office’s Friday emails in January. It was the most hectic month for me, so it was not my intention to do any extracurricular activities like this. However, as I checked the details of the competition, I found out that all you need to enter the competition for the Morpheus Prize is to make and submit a 10-slide presentation. There were indeed many different and interesting topics to choose from. I especially liked the format, sending only a 10-slide presentation, and how they stated that it should be “an entertaining presentation.” I find that 10 slides are the right length to convey any idea, and I also agree that presentations should be entertaining. In the past 10 years the world has faced many dramatic changes,from a new economic and financial scenario after the 2008 subprime crisis to a new geo-political setting marked by Brexit and the proliferation of populism in the western world. Many companies and governments continue to struggle with the effects. Nowadays, adaptability has become one of the key factors that determine whether managers succeed or fail, whether companies grow or stagnate, and whether politicians stay relevant or face irrelevance. 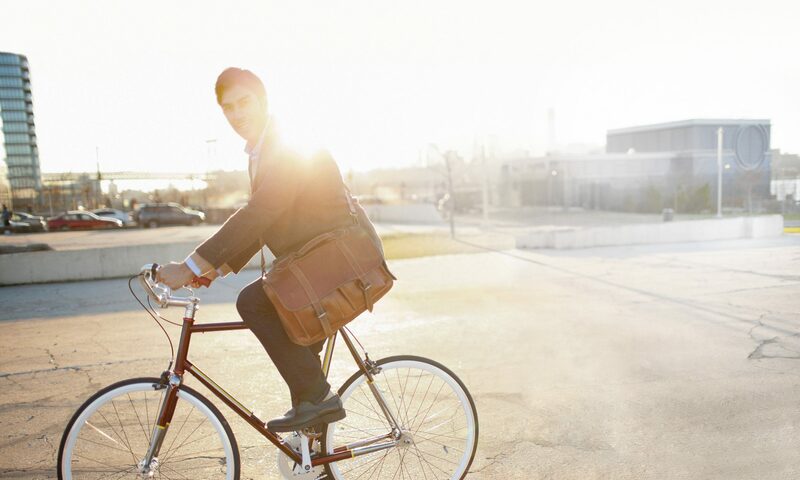 In management, adaptability is a critical skill. As a matter of fact, a recent report states that 91% of HR directors think that by 2018 people will be recruited on their ability to deal with change and uncertainty (2014, The Flux Report by Right Management). In my case, the ability to remain adaptable has helped me beyond any expectations. 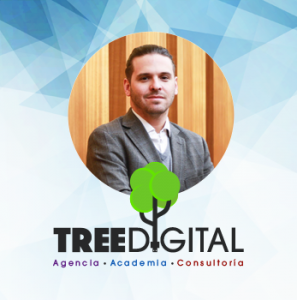 In 2015, before moving to Germany from Chile, I co-founded Tree Digital, a digital marketing consulting company, which I managed remotely during my MBA studies at ESMT Berlin in 2016. This year, after the MBA, I made the decision to keep managing the company from Berlin. I saw an opportunity to expand our operations to Germany and the advantage of being in the most important startup hub in Europe. However, I experienced hard resistance from colleagues, family, and from my team. Many thought that this was not a wise decision, stating that it is almost impossible to manage a company remotely and that physical presence is one of the keys to success. I have found out that remaining flexible and adaptable has allowed me to make faster decisions, to see a clearer picture, and to respond to my business needs much quicker. Also, I have learned that emotional intelligence is a vital competency when communicating change to any team. To achieve growth with Tree Digital, I have been promoting an inner culture that embraces change to make us move quickly. We have designed a light organization with fewer hierarchies, yielding more freedom to design, think, and propose new ideas. This has been the secret sauce to keep high levels of motivation, productivity, and growth. A flexible manager must be willing to move out of his/her comfort zone. Allow yourself to learn continuously as a vehicle to constant adaptation. See opportunities where others see failure. Sometimes it is good to do things in a different way. Focus on the core strategy; do not get distracted by the details. Embrace change and make it part of your culture. Even though the future is not written, I know that the only certainty is change. Therefore, I know that staying adaptable will always be the best approach when facing the future. One of the reasons that made me choose the full-time MBA at ESMT is the international exposure options that the program offers. 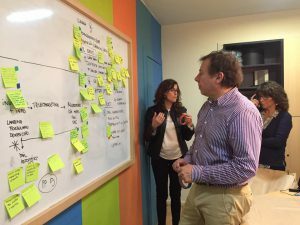 As part of the curriculum, I had the chance to go to Seoul and Tokyo for the International Field Seminar and to IE Business School in Madrid for the one-week exchange within the Global Network for Advanced Management. 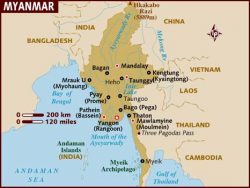 And upon graduation, combining my passion for travelling with my desire of making a positive impact, I enrolled in the ESMT Responsible Leaders Fellowship and joined the panda family at WWF in Myanmar. The work of an entrepreneur is never done. Since I started selling awesome paper wallets as BERLIN slim, I’ve realized that what I really signed up for is a never-ending list of tasks. Everything needs to get done yesterday. After a brief honeymoon period, it dawned on me that if I didn’t start making money soon, I wasn’t going to make it. The pressure slowly began to mount. I found myself working longer and longer hours, in a vain effort to finish one more thing. It sounds a lot worse than it is though. Honestly, I love it! 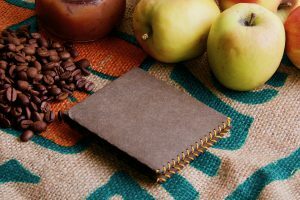 I want to share some of my observations on starting a business. I went in with a few misconceptions and my own personal blind spots. I hope to spare you from some of the problems I’ve had. 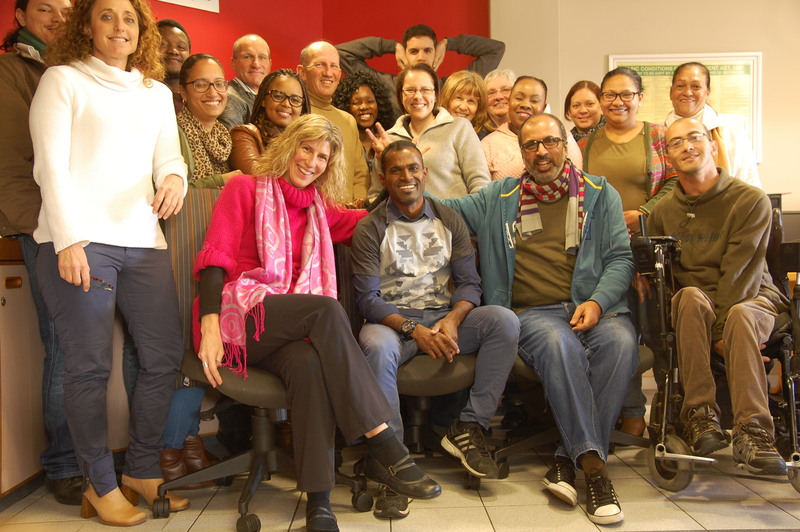 Last week I returned from my ESMT Responsbile Leaders Fellowship (RLF) in Cape Town. Time flew. Driving to the airport, it felt like yesterday when I drove on the same road exactly five months ago, in the opposite direction. As I was wrapping up in Cape Town, someone asked me why I chose ESMT for my MBA. This made me go over my ESMT application and I found this. RLF was one of the major reasons why I chose ESMT. I am passionate about empowerment and was certain of seeking RLF even before I joined ESMT. After the program was introduced to us, TSiBA popped up as an interesting option. TSiBA is a non-profit private B-school in Cape Town that offers business degree to the underprivileged, and business training and mentoring to disadvantaged entrepreneurs. After talking to the MBAs from the past year who had done their fellowship at TSiBA, I was convinced that it fits my bill perfectly. Early in my life, I learnt that when one chooses to focus on problems, one sees only more problems, but the moment focus shifts to possibilities, we see opportunities. This is a paradigm shift in thinking which is very difficult to attain given the nature of circumstances you grow up in such areas. There is a lot of conditioning you go through that you have to undo in order to make that shift. And I believe examples are the best way to demonstrate this possibility. I chose TSiBA because I saw the opportunity to be that example. When I learnt of the circumstances the entrepreneurs and students at TSiBA go through in life, I thought I could share my experiences with them to instill the belief that it is possible. I however donâ€™t think this can happen over a guest lecture or talk. I was convinced that being a part of their learning journey is the best way to make that impact, and I saw RLF providing me that opportunity. TSiBA is a great organisation and I loved the experience there. There are a lot of things to do, and there is a shortage of skilled people who are willing to support. So when I started there, I got to chose what I wanted to do. TSiBA gave me complete freedom in executing the projects that I had taken up. Staff members are very friendly, supportive and collaborative. They are more like a family than coworkers. There is a lot of friendly banter in the staff room. Interactions with students were energising and humbling. The RLF experience made several indelible impressions on me that I am sure will stay with me for a long time. Here are the most important lessons I learnt. Planning is good, having an open mind better! The MBA experience gave me fresh perspective on how things donâ€™t always go as planned, and helped me appreciate how important it is to be temperamentally ready to handle any kind of situation, not only in business but also in life. The RLF @ TSiBA helped me put this to practice. Last October, when I interviewed with TSiBA, we agreed on the areas that I would support TSiBA with. By the time I arrived in Cape Town, more than 3 months had passed, and things had changed a lot. The work that I wanted to do was not possible due to unforeseen circumstances. Instead I had a completely different set of projects to choose from. And I chose to manage a brand new program, Juta-TSiBA-EME program, which involved building a small business, ground up, in a tripartite set up. This program is a concerted effort by two organisations committed to black empowerment in South Africa. The program was conceived of in late 2015 and the execution began in February 2016. 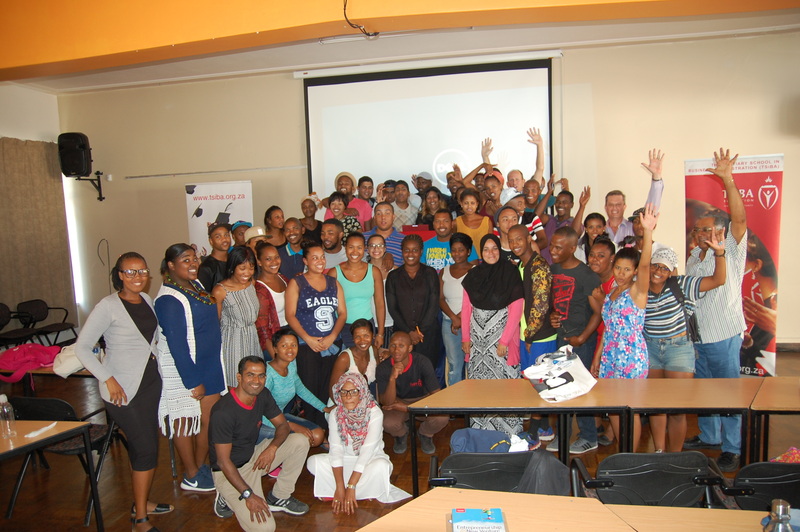 The program was sponsored by Juta, a leading publishing house in South Africa. The vision of the program was empowerment of the disadvantaged. The goal was to identify a disadvantaged black entrepreneur and to use donated stock to set up an Exempt Micro Enterprise (EME) business. Juta chose TSiBA to do that and I anchored the program execution for TSiBA. My activities involved research of the target market, coming up with a value proposition for the business, building partnerships with potential partners, drafting contracts for the tripartite collaboration, and selection of a previously disadvantaged black entrepreneur as the business partner (to take up the business once I leave South Africa). To provide experiential learning to entrepreneurship students, I anchored the end-to-end execution of the student project of the program as well. Towards this, I created simple processes for stock reporting, pricing, order placement, invoicing, payments, order collection, stock returns, and reporting. I also provided business coaching and mentoring to students. This was a complete start up experience for me. I learnt a lot and thoroughly enjoyed it. I went to Cape Town with an open mind about my work. And in retrospect, I think this mindset helped me see the opportunities available rather than getting disappointed by the changed circumstances. The most important lesson I learnt from the Juta program is, how important it is in business to be prepared for failure. My lack of exposure to business landscape in South Africa made the selection of an entrepreneur the more challenging of the work-streams I had to manage. When we announced the program and invited applications, there were quite a few interested in coming onboard as the EME. One of the applicant teams showed the drive and motivation required for our program. We interviewed and found them suitable for the EME. The prospects sounded promising. We were about to confirm their selection, and they pulled out citing workload and alignment issues. In the meantime, the interest of other parties also dwindled and I missed the deadline to select the EME. Within a few weeks, things that seemed very promising faded away one after the other, and I was not prepared for that. This was a major jolt to the program. What I learnt from this experience is that in business even the most promising lead may not materialise and being prepared for that eventuality is very important. This learning came in handy in another project. A few Northeastern University (USA) and TSiBA students collaborated to start a social enterprise and agreed to have me in an advisory role. Drawing from the failure of the Juta program, I was able to make recommendations for strategy that ensured that we were prepared for failures and thereby we could better manage the risks. At TSiBA, I had a variety of interactions with students. As part of the student project of Juta program, I coached students on setting up businesses and mentored a few of them. I also had an opportunity to be a tutor for entrepreneurship and leadership. There were many brilliant ideas discussed, personal stories and issues shared and discussed, ideas challenged, solutions proposed and debated, agreements and disagreements, viewpoints countered and so on. Those discussions helped me learn a lot about the South African culture, and I also felt I got a good understanding of how the youth think (Not saying that I have grown old!). The element of vicarious learning associated with such interactions is fascinating and it taught me a lot. There were many eureka moments when sharing my experiences and beliefs with students gave me a fresh perspective on my life. The feedback on my programs has been very positive and the results promising. 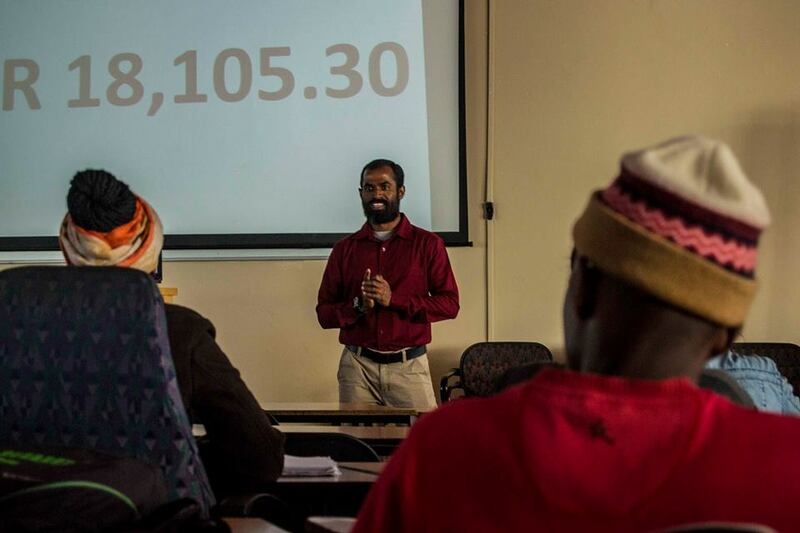 In a span of three months, the student arm of Juta program sold 1,571 books, resulting in a revenue of ZAR 18,105.30. At the time of my leaving Cape Town, the EME had sold about 140 books and generated about ZAR 12,600 in revenue. The revenue from the student project and a part of the EME revenue will go to TSiBA scholarship fund for future students. Reading through the reflection papers submitted by students at the closure of the student project, I felt the project met its goal of providing experiential learning to the students. Personally for me, what stood out was students giving feedback that my guidance helped them sell to customers, made them think differently about doing business, and that they made real changes to their business approach. Thanks to ESMT and TSiBA for the wonderful opportunity!